MANILA, Philippines – Then-Philippine dictator Ferdinand Marcos forced his military chiefs to parade as women during a tasteless, sycophantic birthday party planned by his unstable wife, according to US diplomatic cables. The US ambassador to the Philippines in the mid-1970s, William Sullivan, wrote a series of blistering criticisms of Ferdinand and Imelda Marcos in secret cables that have since been declassified and published by WikiLeaks. “In general, every aspect of the occasion was too much, too long, and in questionable taste,” Sullivan wrote in the report to Washington. “This whole affair was a saccharine suffusion of sycophancy,” he wrote, according to the cables published on the website of the anti-secrecy organization this week. Ferdinand Marcos ruled the Philippines for nearly 20 years until an army-backed “people power” uprising involving millions of people forced him to flee into US exile in 1986. He died in Hawaii three years later. While Sullivan appeared in the cables not to personally care much for either of the Marcoses, the United States supported the dictatorship until the final moments of the revolution. 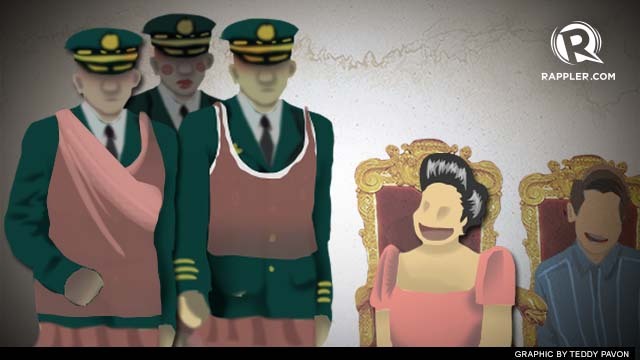 Sullivan wrote repeatedly of what he saw as the personality flaws of Imelda Marcos, who cultivated immense power during her husband’s rule and famously lived a lavish lifestyle while most Filipinos endured brutal poverty. In one cable, he warned British diplomats that Imelda would not be concerned about protocol in trying to get herself invited to Princess Anne’s wedding. “First lady has reputation for royal manner of life style in Philippines and would not be above lobbying for invitation to British royal wedding,” he wrote. In 1974 cables ahead of a visit by Imelda Marcos to the United States, Sullivan warned his head office that communist Chinese leaders had done a “very effective snow-job” that had coloured her outlook on the all things American. Sullivan said she was particularly concerned that her daughter, Imee, was surrounded by “faggots” while studying at Princeton University. 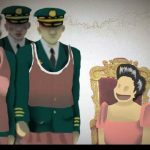 “Given all this background, Imelda is in a slightly touchy state and a small offense or an untoward incident could spell lasting damage. She has not lost her sense of humor, but perspective is more than a bit awry,” he warned.